Blake Lively, Chelsea Clinton, Audra McDonald and Jessica Chastain are being recognized by Variety at its Power of Women: New York luncheon. Jessica Chastain, Chelsea Clinton, Gayle King, Blake Lively, Audra McDonald and Viacom vice chair Shari Redstone are being recognized by Variety at its Power of Women: New York luncheon. 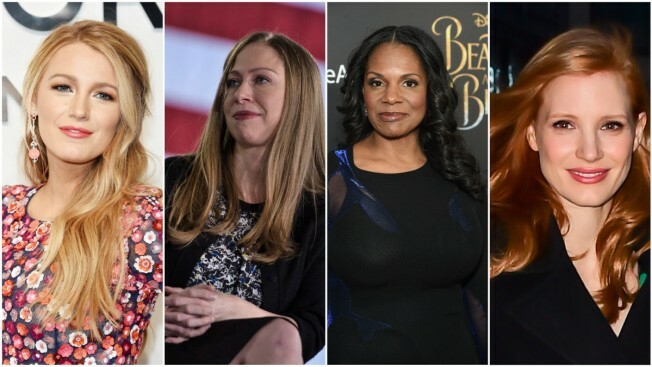 The Hollywood trade publication announced Monday that the six women will be honored April 21 at Cipriani restaurant in New York. "Saturday Night Live" star Vanessa Bayer will host the private event. Now in its fourth year, the Power of Women: New York event celebrates the humanitarian efforts of the city's female leaders in entertainment, media and politics.